Things got off to a rough start. 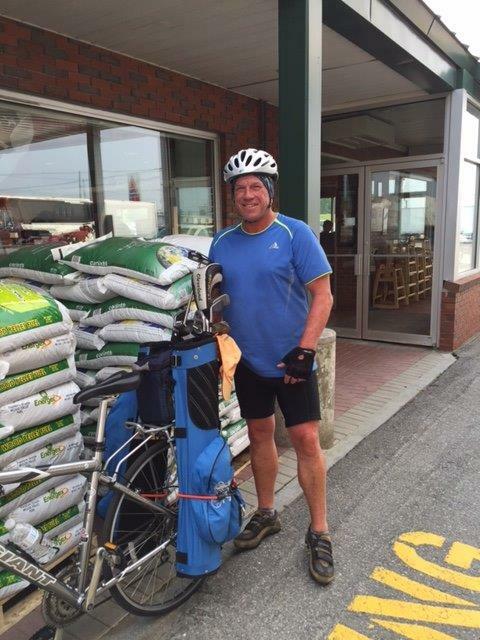 Drove up Portsmouth NH to catch a bus to Bangor . Taking the bike off truck discovered a flat tire and then ran into an incredibly rude Greyhound driver who was totally bent out of shape that he would have to make room in his storage compartment for the bike. WE got that squared away and got situated in the back of the bus and tended to the flat. The afternoon spin leaving the bus station in Bangor down to the little college town of Unity was challenging. 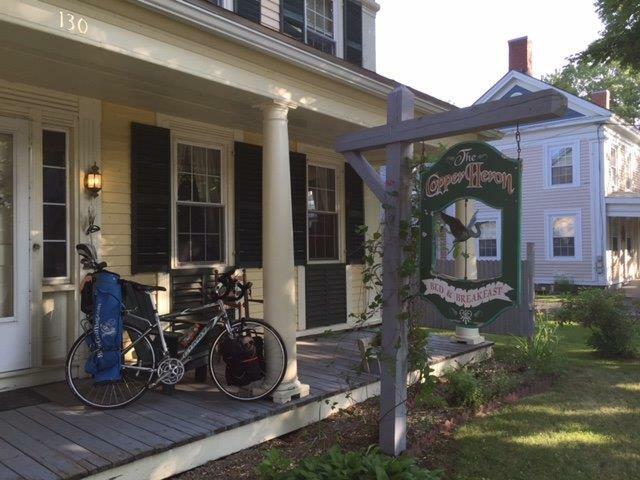 Between the hills and long day getting to Bangor this rider was happy to roll into the Copper Heron B and B a charming little Victorian guest house.